Showing Products 1 to 19 of 19 Products. A fascinating history from the voices of the American airmen who flew daily from bases in East Anglia to the heart of Germany. Portrays the crucial part played by the British Special Operations Executive SOE, US Army Air Force USAAF and American Office of Strategic Services OSS in operations behind enemy lines in occupied Europe during World War Two. 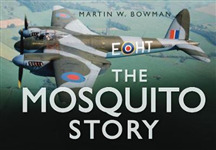 An engaging collection of first-hand accounts, illuminating the experiences of pilots shot down during WWII. Provides comprehensive coverage, featuring stories from evaders and escapers in a variety of contexts. British, American and Canadian pilot testimonies all feature. Covers nine of the earliest wars involving jet aircraft from 1950-1982. Third volume in an impressive five part work A comprehensive tribute and engaging history of aerial operations implemented during the course of D-Day Relays the exploits of the men engaged in the conflict at hand with ease, style and reverence. First volume in an impressive five part work An comprehensive tribute and engaging history of air and ground operations implemented during the course of D-Day Relays the exploits of the men engaged in the conflict at hand with ease, style and reverence. A wonderful combination of stunning aerial photography. Relays the intriguing story of the British Special Operations Executive, the US Army Air Force and the American Office of Strategic Services in operations behind enemy lines in occupied Europe during the Second World War. A highly readable and informative history of the Nuremberg Raid that takes advantage of new stores of information that have recently come to light in relation to the raid. Combines historical narrative with snippets of pilot testimony and seeks to explore, across eight chapters, the part played by the V Bombers and fighter bombers in the Nuclear Age, from the 1980s right up to the present-day. 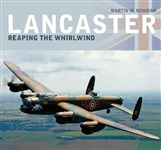 Detailing the Lancaster's history from 1942-45, this study brings everything together to tell a concise history of the world's most famous aircraft of all time and undoubtedly the finest bomber of the Second World War. A consolidation of first-hand accounts from German fighter pilots caught up in some of the most dramatic night time conflicts of the early war years. The latest release in what has become a trio of commemorative books, celebrating the might of the indomitable Lancaster Bomber. Covers the units who flew the legendary B-17 Flying Fortress. This book looks at the history and personalities associated with each base, what remains and explores the favourite local wartime haunts where aircrew and ground crew would have gone. It covers museums and places that are relevant. 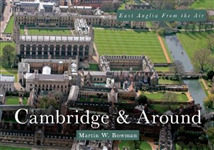 As part of the "AHT" series, which deals with airfields, this book concentrates on Norfolk and Suffolk. It looks at the history and personalities associated with each base, and what remains. It also explores the favourite local wartime haunts where aircrew and ground crew would go.